Cheng Du Chinese restaurant recently opened on Hempstead Tpke. in Franklin Square where Jani's used to be. Promising authentic Szcechuan cuisine it was with great anticipation that I dined there the other night. Did it live up to its promise? Read on. 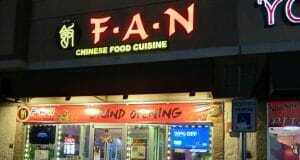 Newly opened F-A-N Chinese Restaurant, located at 534 Commack Road, Deer Park, NY, specializes in authentic Szechuan cuisine. The space is small, nicely decorated, and the English speaking waitstaff are friendly and helpful. The night we were there had a nice mix of Chinese and Caucasian customers. So what did we think of the food? Click to find out!! 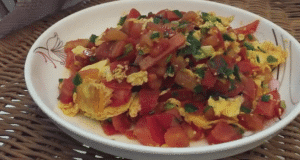 Another bonus recipe from Jenny Jade's soon-to-be-released cookbook "Chinese Food at Home", Fried Eggs and Tomatoes. Learn to make this great authentic Sichuan dish with step by step directions and video! Information on obtaining a discounted copy of jenny's cookbook can be found in this article! 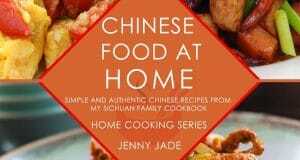 The Chinese Quest is excited to help spread the word about a cookbook that is about to be published featuring Authentic Sichuan Recipes by Jenny Jade. As a bonus to Chinese Quest readers, Jenny is going to share with us in the coming days a sneak preview of the book and some of the recipes that are included, plus some bonus recipes that aren't in the book! Have we whet your appetite for some Chinese food? Click on the link below to learn more! Spicy Home Tasty is a new Szechuan style Chinese restaurant that recently opened in Commack, NY. 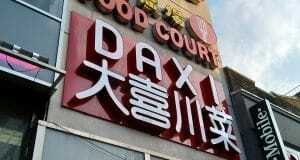 We welcome the influx of authentic Chinese cuisine to Long Island. However we found this restaurant lacking in two ways. You won't believe the second! 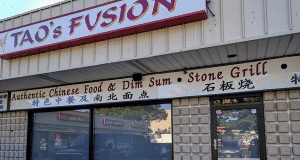 Tao's Fusion, a Chinese restaurant in Selden, NY is part of the evolution of Chinese food that is rapidly spreading across Long Island. No longer content with Americanized Chinese cuisine, the cultivated tastes of Long Islander's is warming up to authentic Chinese food! Click to read our review! 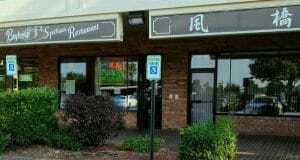 Baybridge Chinese Szechuan Cuisine restaurant is locate in the northernmost section of Bayside Queens, practically in the shadows of the Throgs Neck Bridge. Our review is typical of the difference between our Quest and what others may have become accustomed to. If you're eager to try it, pay attention to the tip posted in the article! 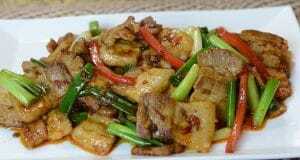 Our popular article on the History of Szechuan cuisine mentioned Twice Cooked Pork. People were asking for the recipe, so without further ado, here is a recipe for Twice Cooked Pork! We know you're going to love it! Originating in southwestern China, the Szechuan culinary tradition emphasizes bold, strong flavors. 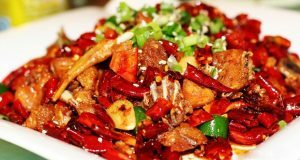 Enjoy this brief history of Szechuan cuisine and recipes! Live, Learn, AND Enjoy! Vets in bundaberg: Thanks for sharing this great post. I'm very interested in this topics. GUNG HAY FAT CHOY! The Year of the Pig! Chinese Food – All You Ever Wanted to Know, and More! Join us on our Quest to find the BEST Chinese restaurant on Long Island and New York City.